Rescuers at Howel of a Dog found Minnie abandoned on the side of a road. The adorable puppy had fleas and ticks and was very hesitant to respond to human touch. 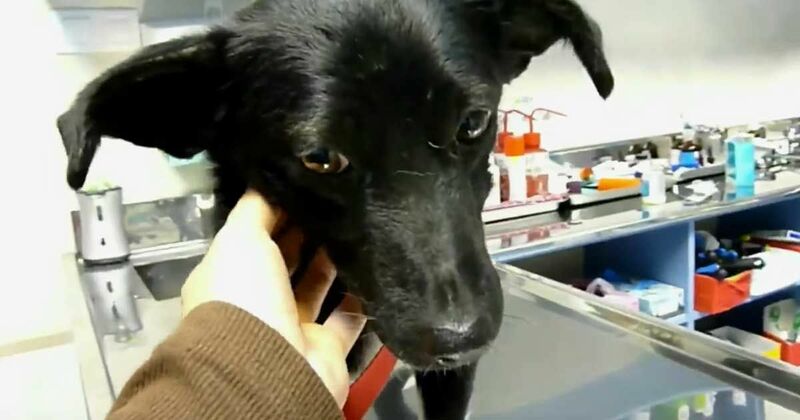 When she was examined by the vet, they discovered she had a uterine condition that could have led to a secondary, more serious infection, called Pyometra. Pyometra is an infection that occurs in female dogs who have either not become pregnant or been spayed. Hormones released in the dogs body thicken the uterus lining during heat, to prepare for pregnancy. If this happens several times and the dog doesn't become pregnant, they can get an infection, according to the Humane Society. Minnie had to have emergency spay surgery to prevent her condition from worsening. Minnie has recovered well. She is a happy dog who has adjusted well to human interaction and enjoys playing. She even gets along with cats! The rescue group, Howl of a Dog, encourages people to get their dogs spayed or neutered. In addition to preventing pregnancy, spaying and neutering may reduce the risk of cancer and infection in dogs, as well as reduce aggressiveness, PAWS reports. The ASPCA reports that it is safe to spay/neuter healthy dogs as young as 8 weeks old, though most owners wait until they are six to nine months. Minnie has been adopted by a family in Los Angeles and is adjusting well to her new family, according to Howl of a Dog.